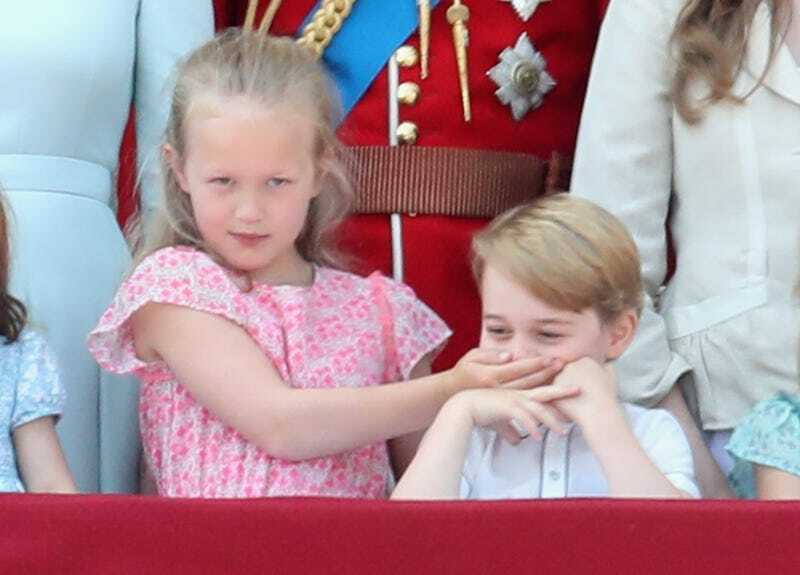 England got its freak on for the queen’s second 92nd birthday fiesta today (wooooooooo), but during the silent portion of the party (woo) Prince George thought of something hilarious and was shushed by his cousin Savannah Phillips. Is it us, the unwashed masses? Is it something parents will just never understand?